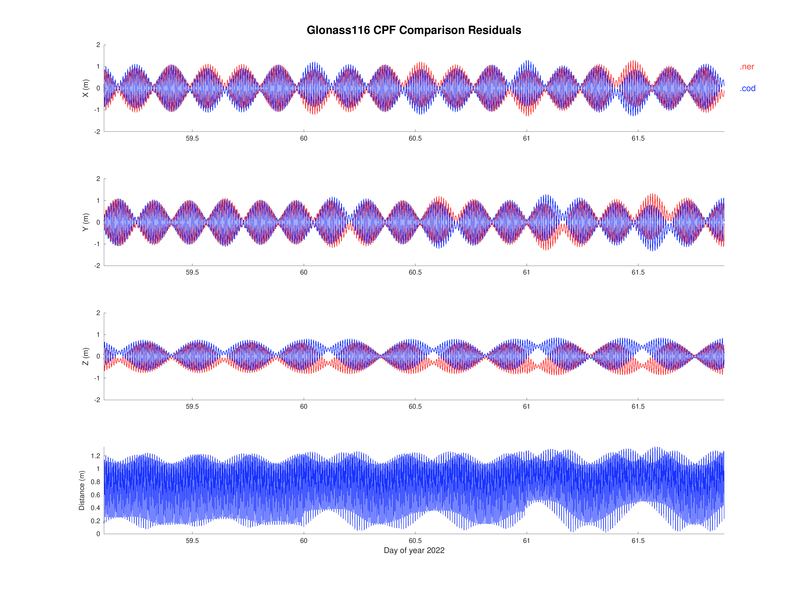 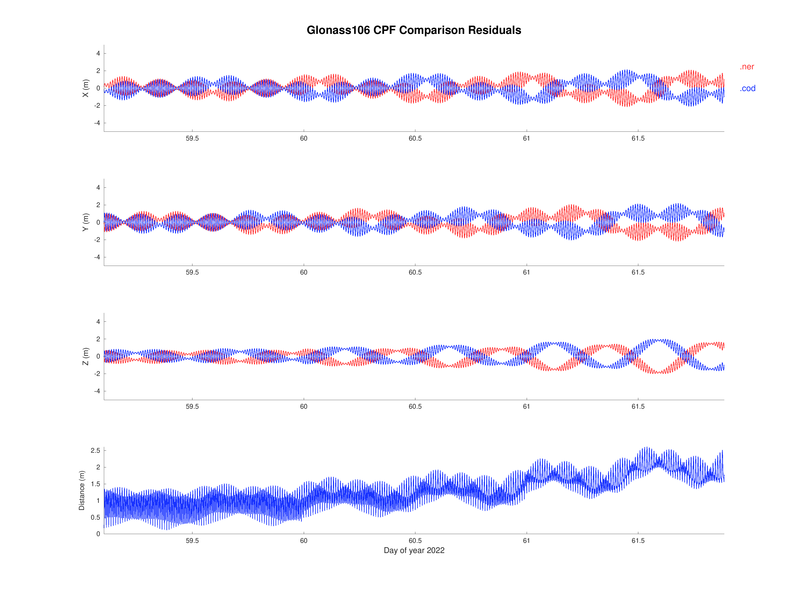 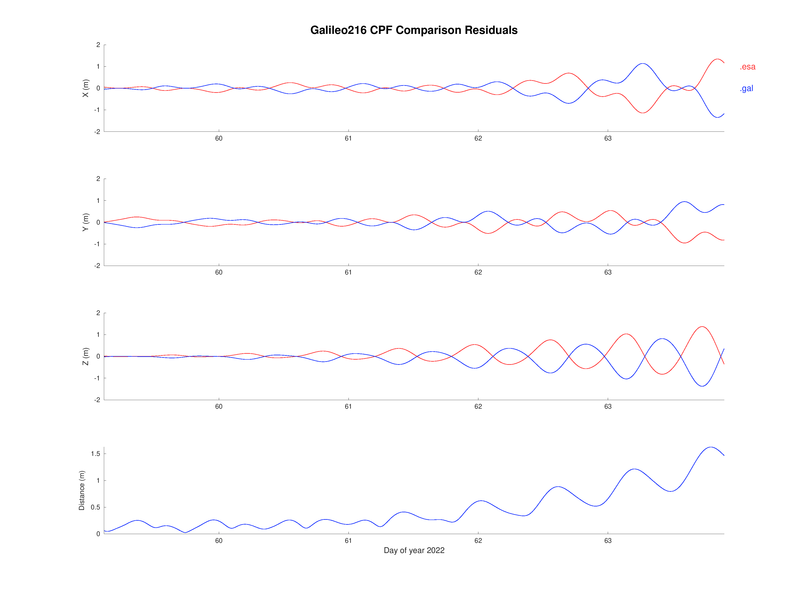 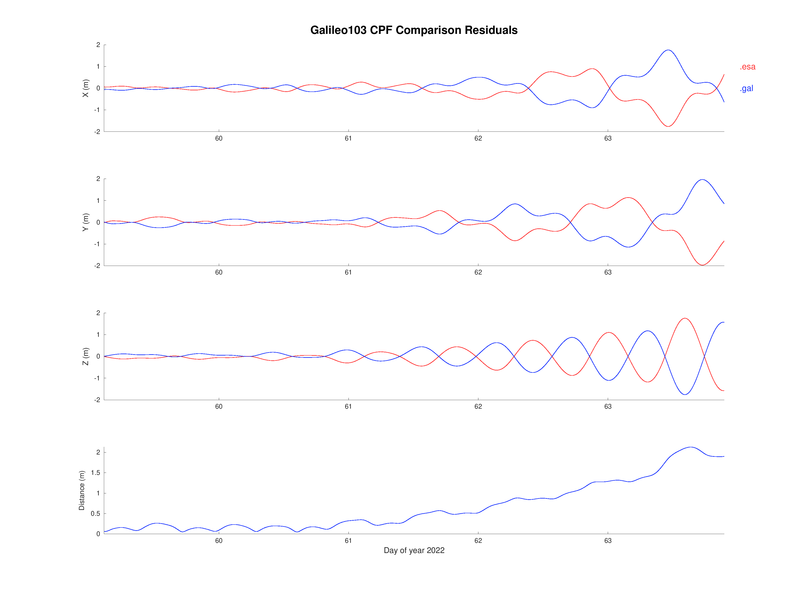 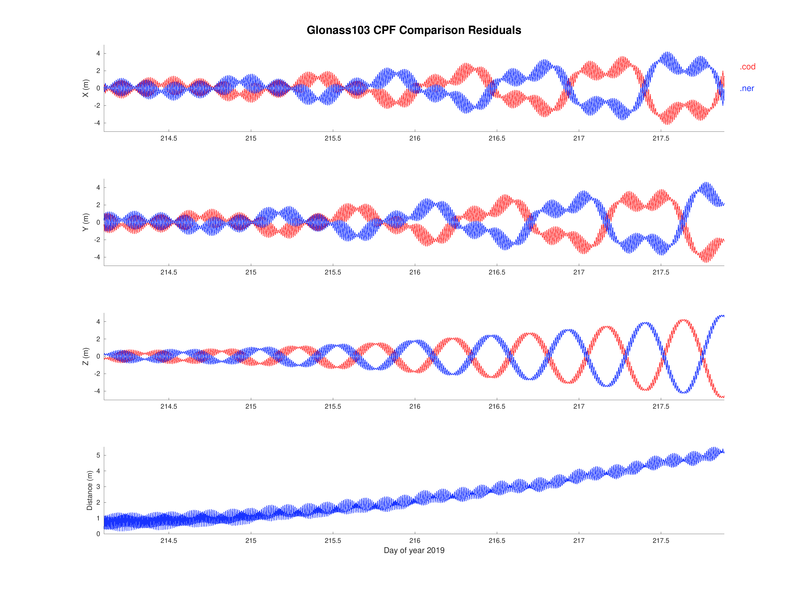 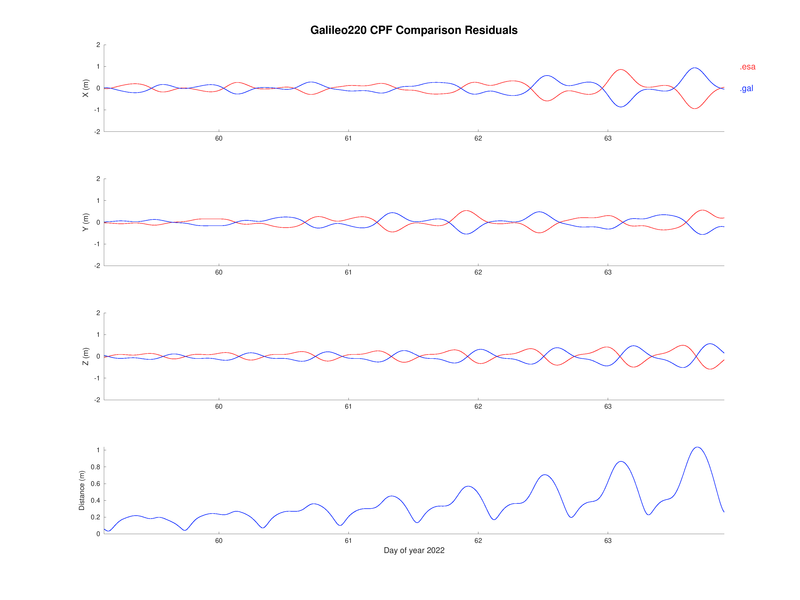 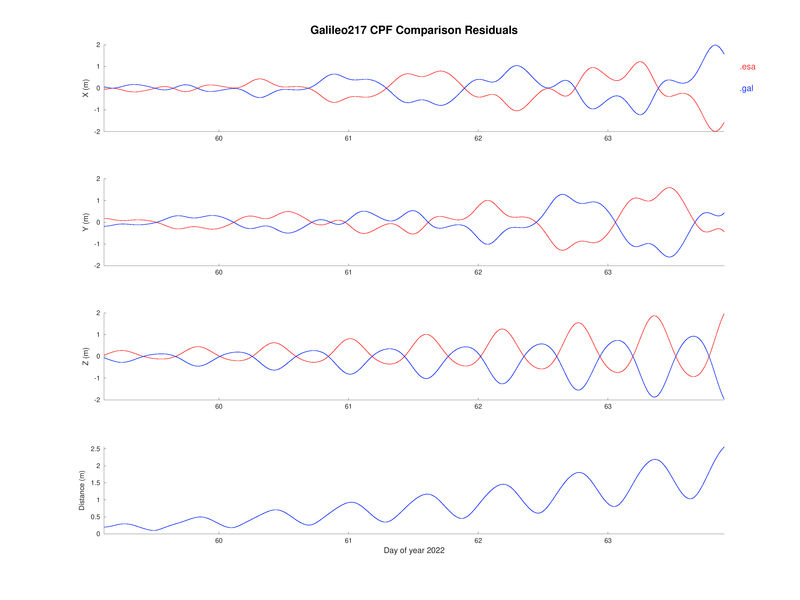 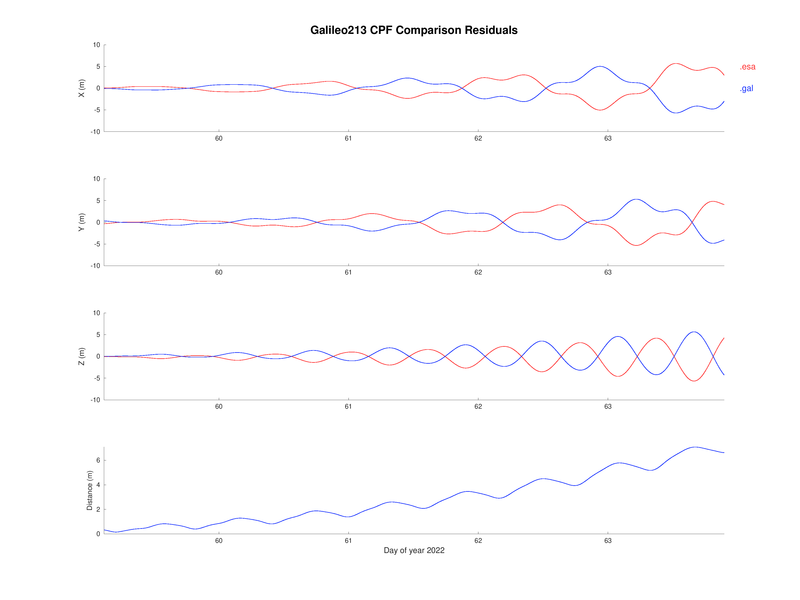 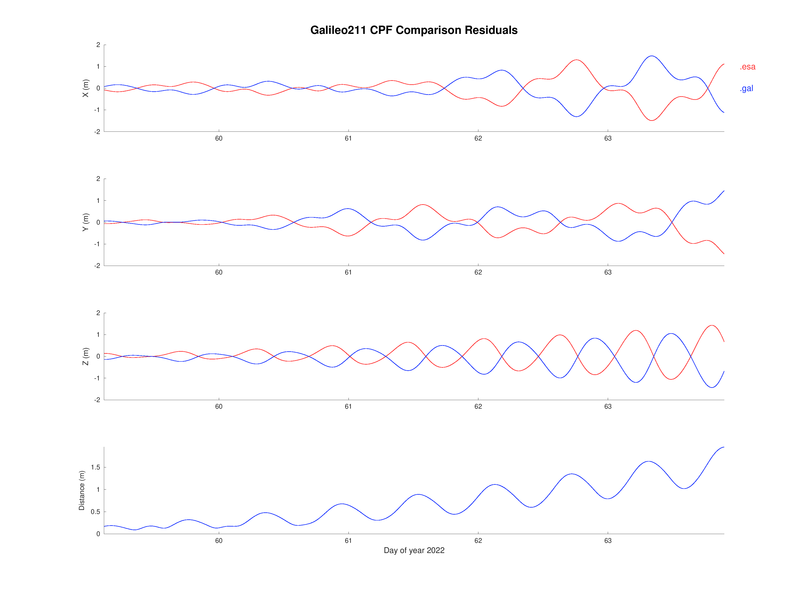 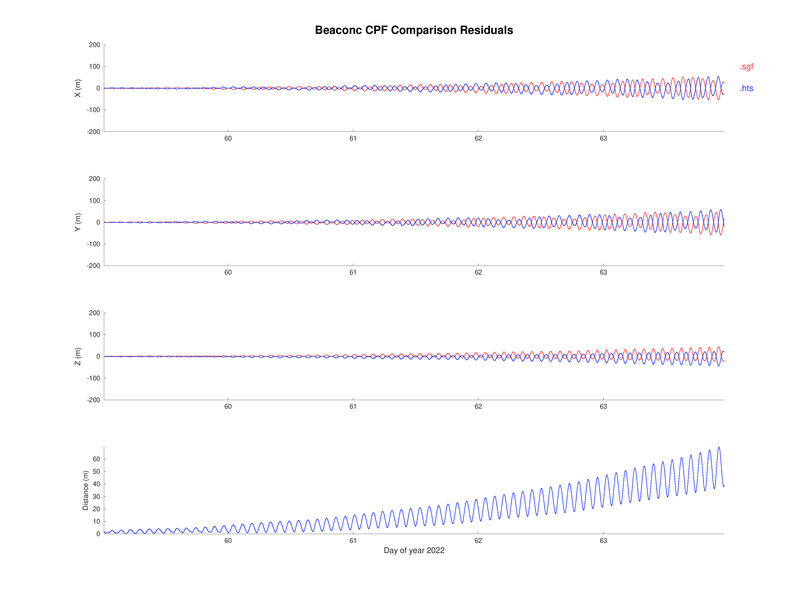 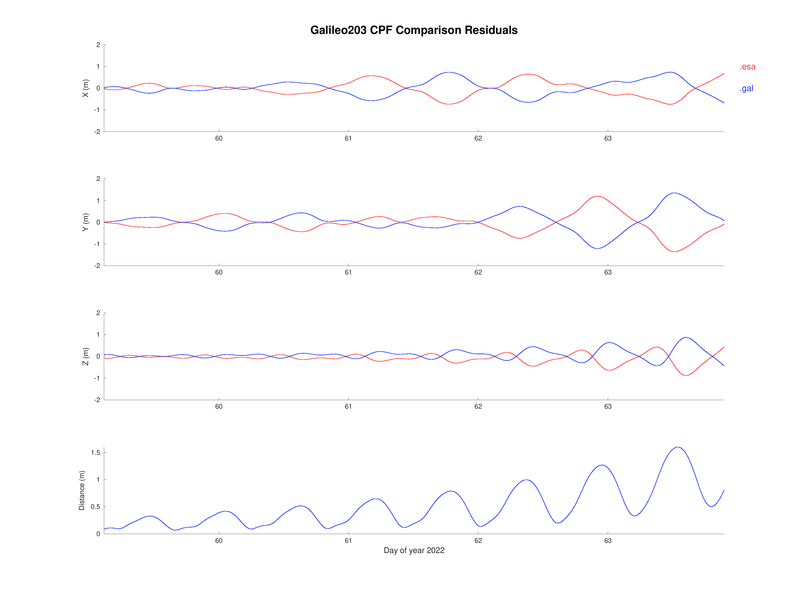 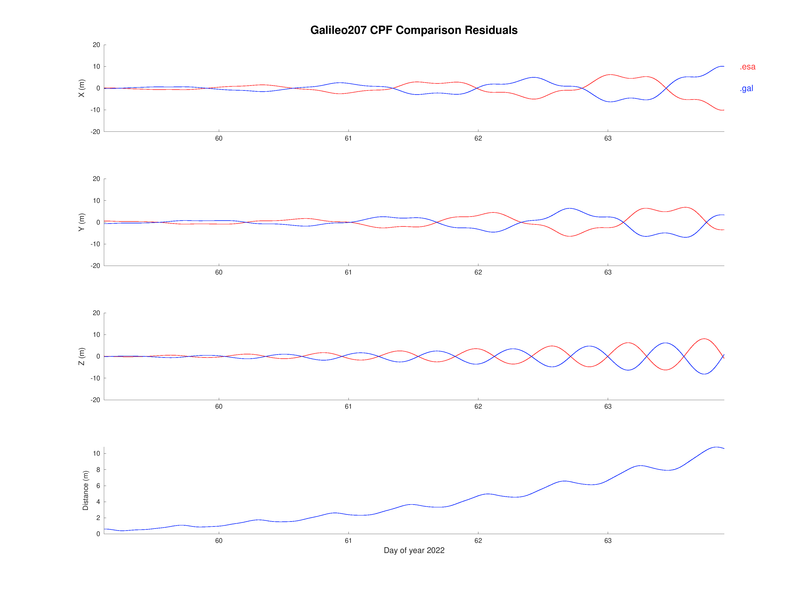 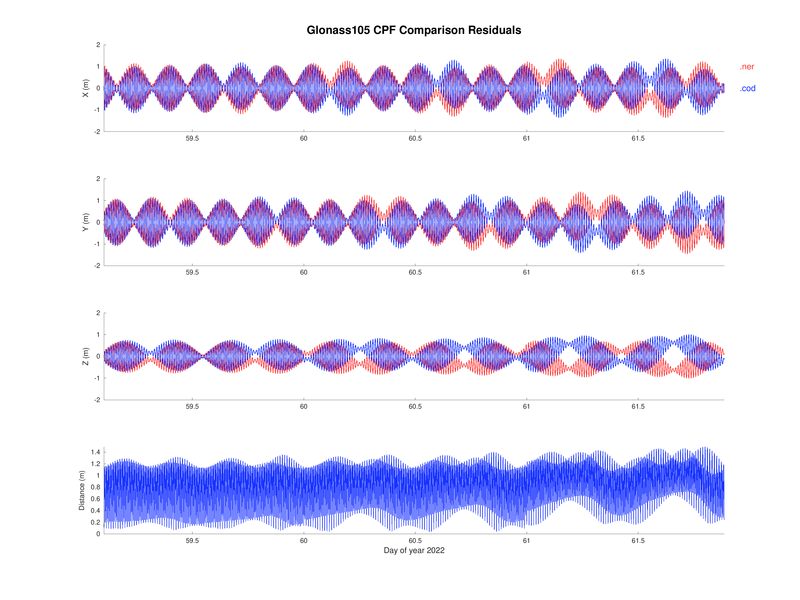 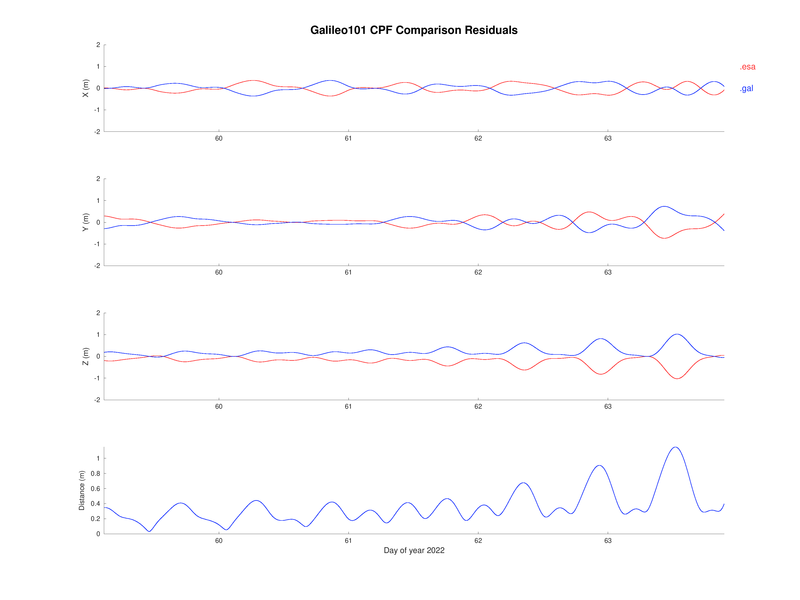 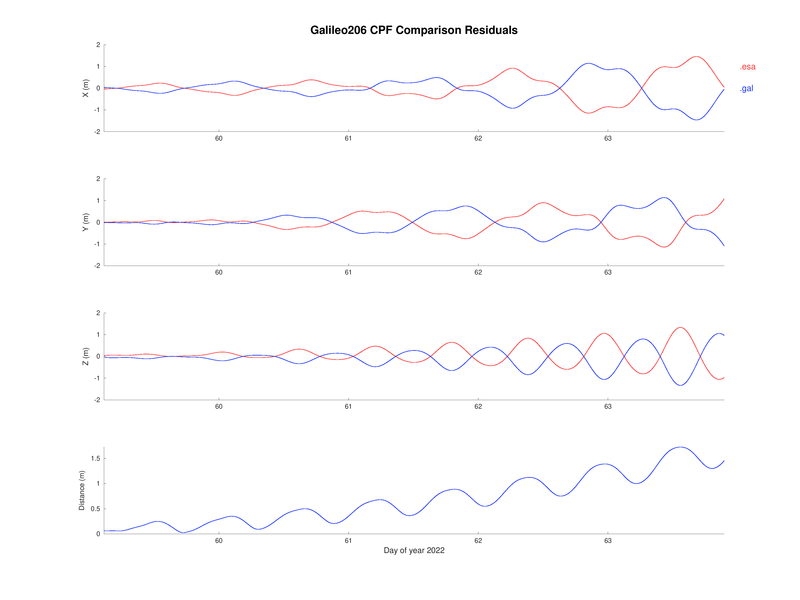 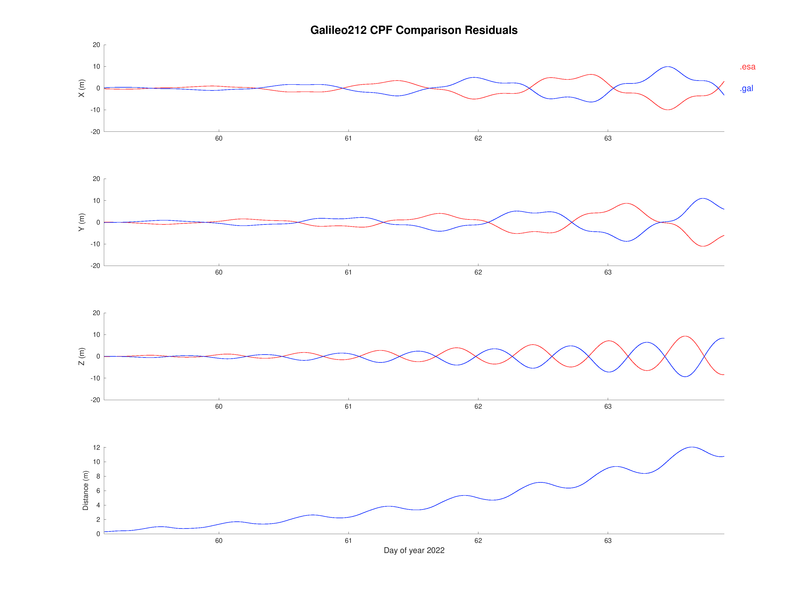 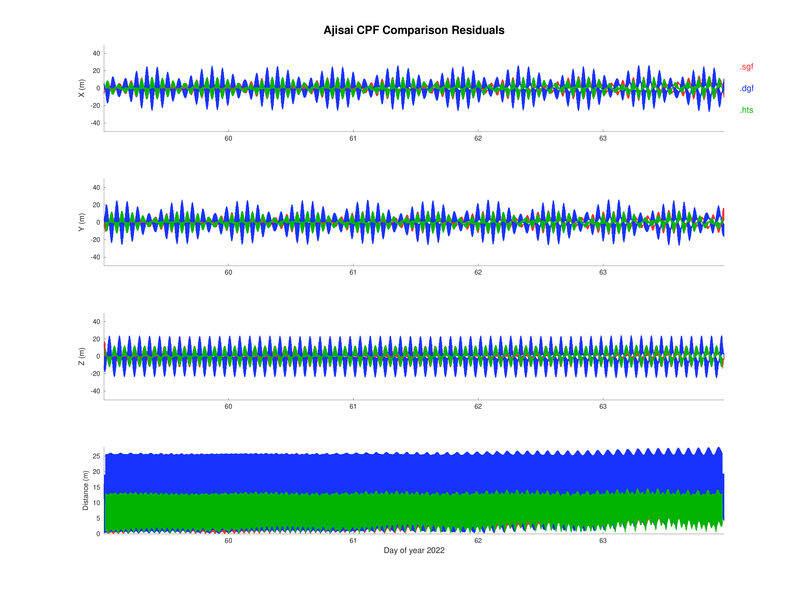 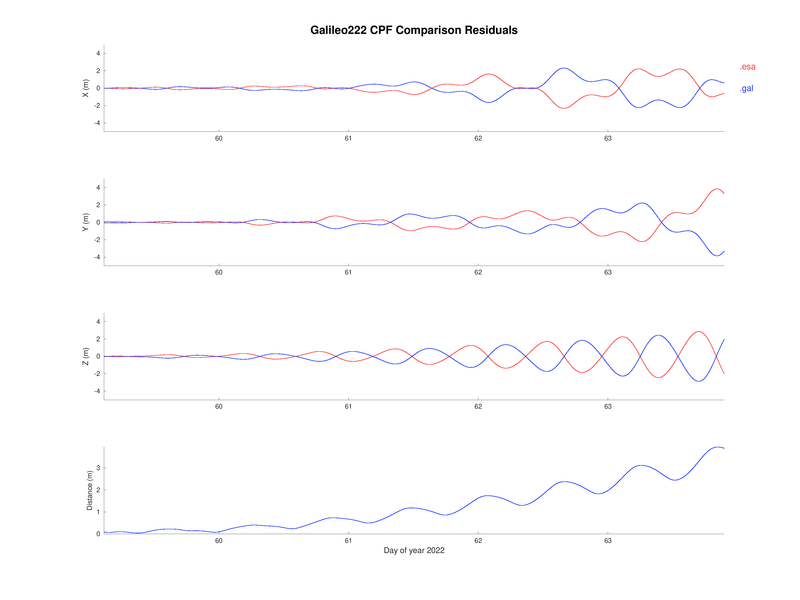 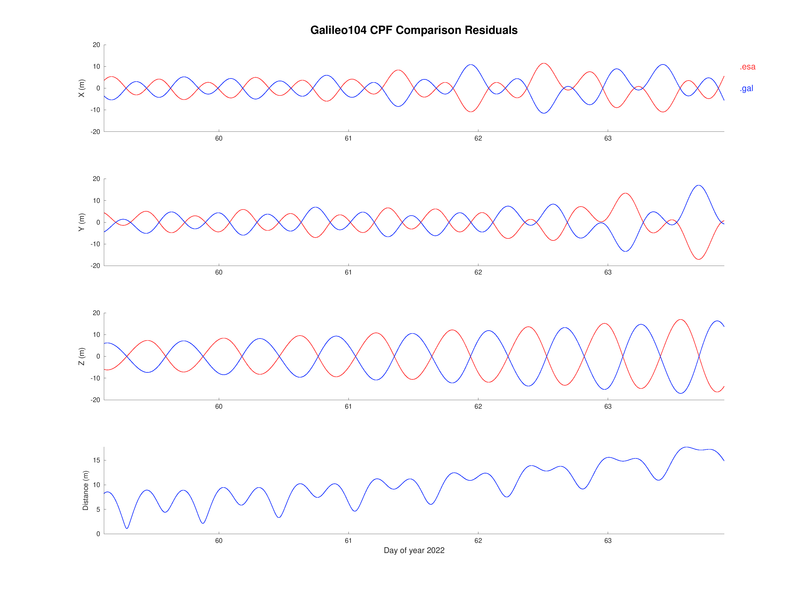 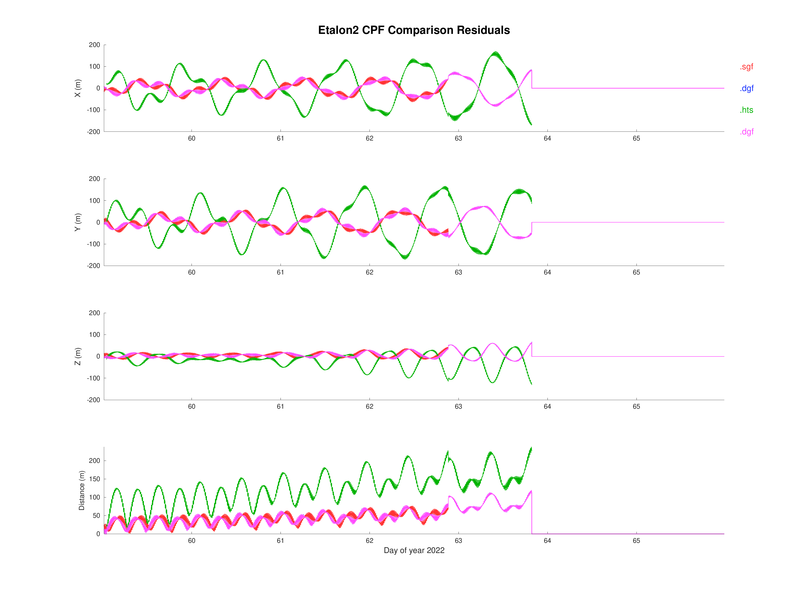 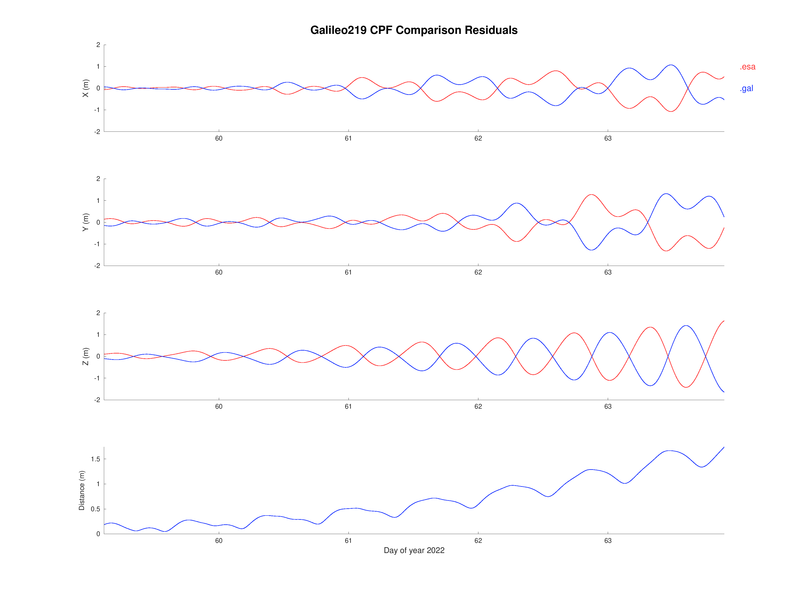 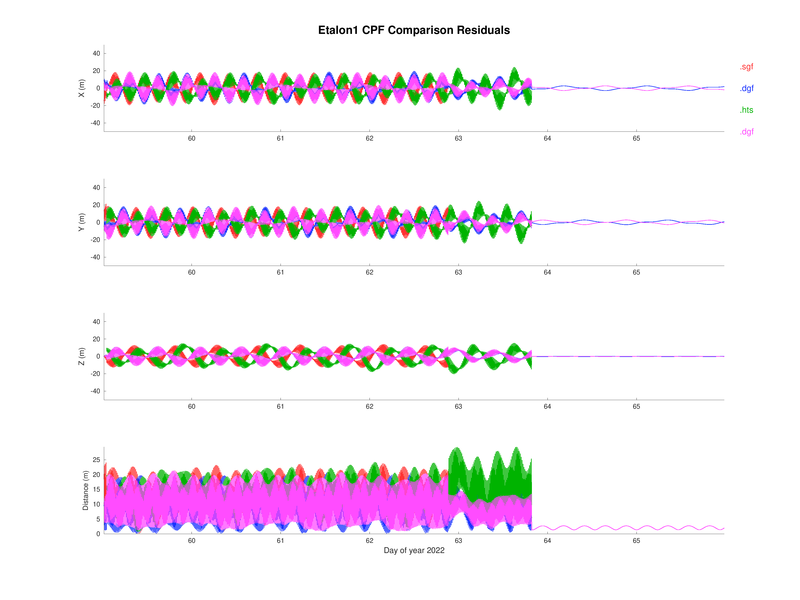 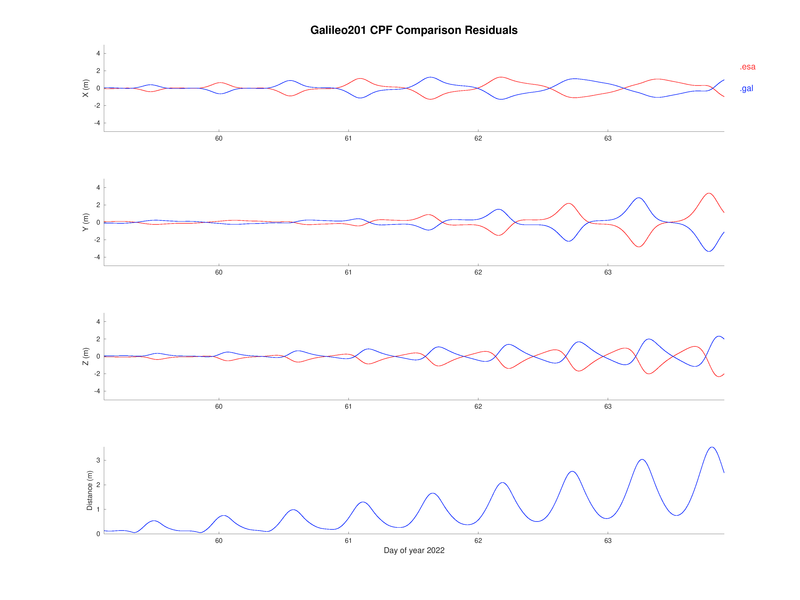 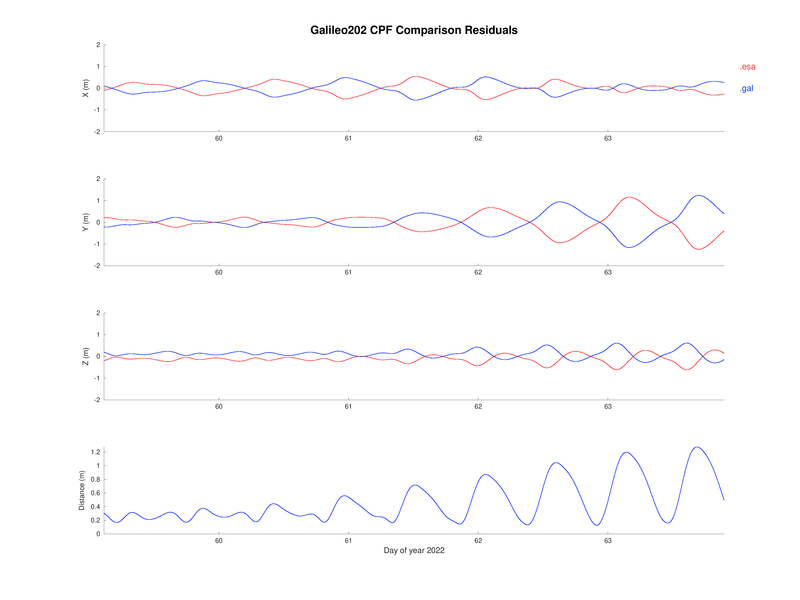 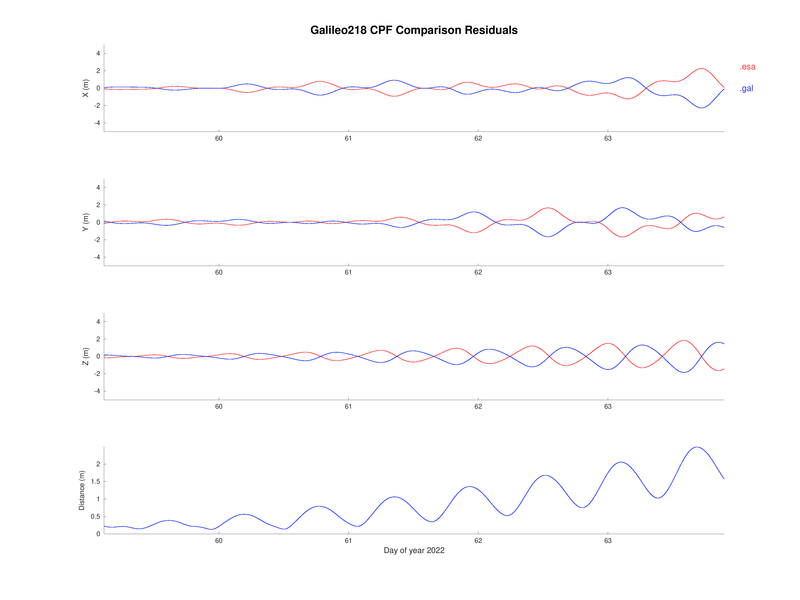 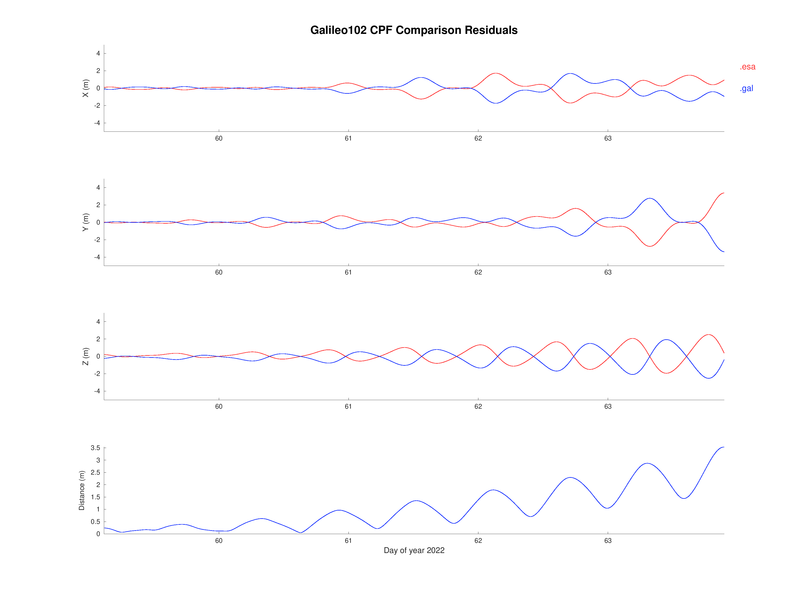 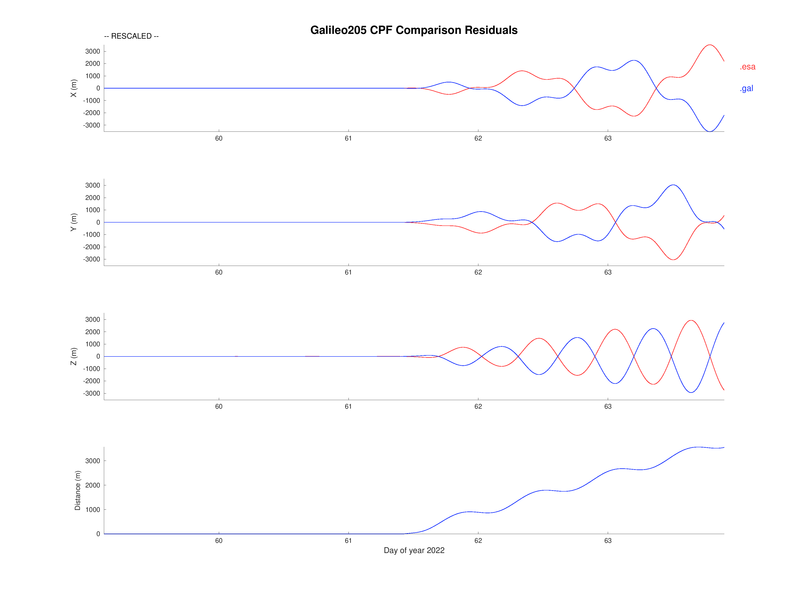 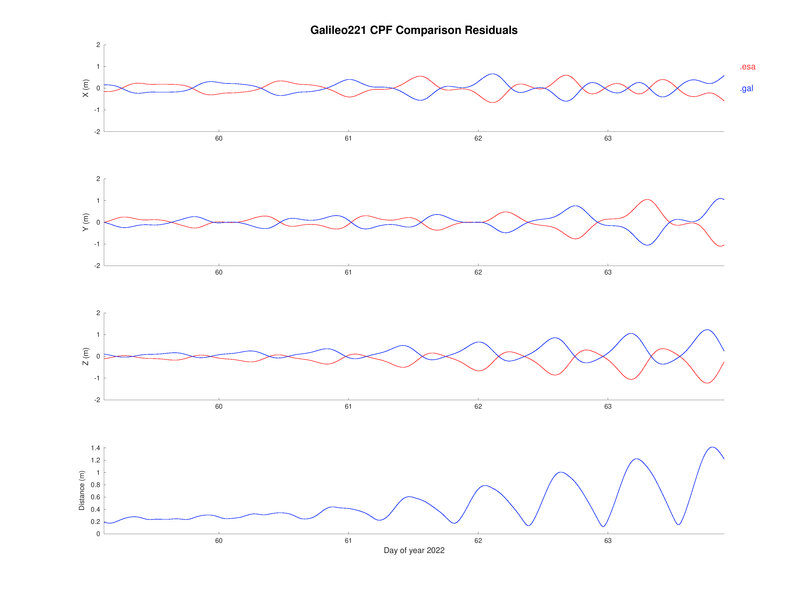 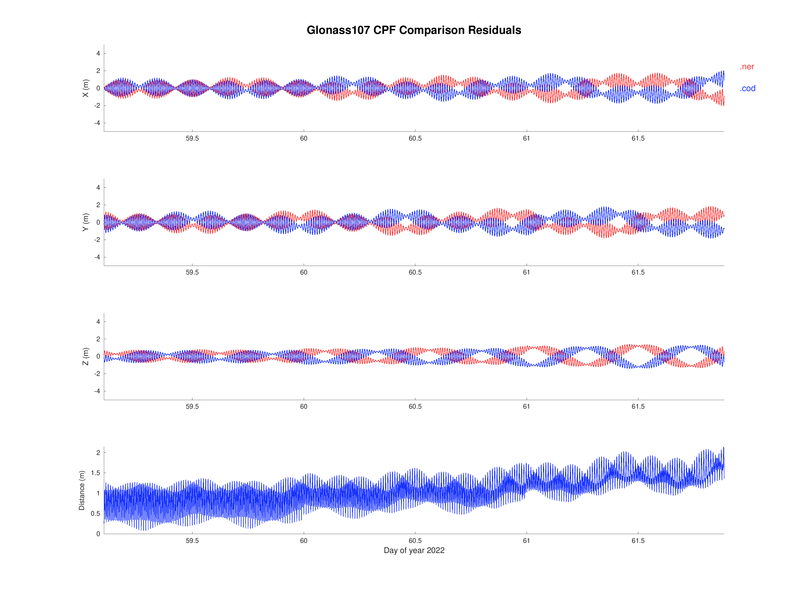 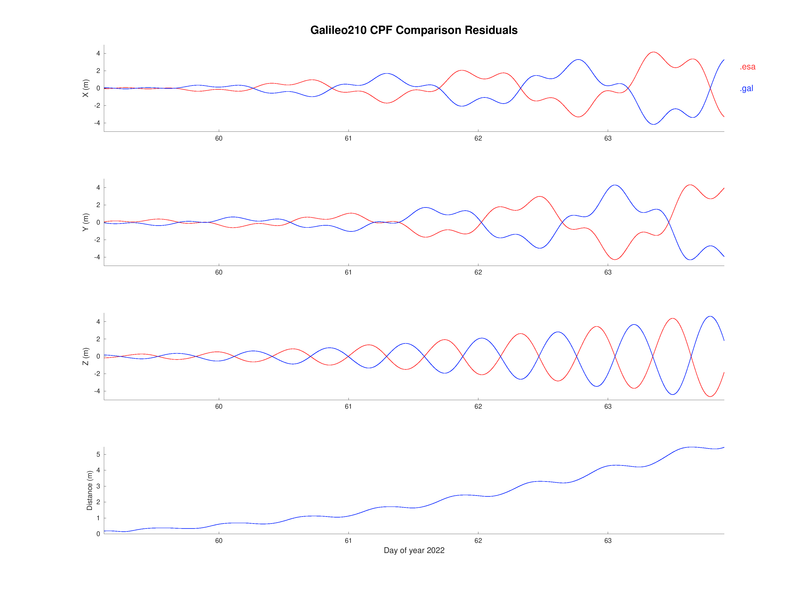 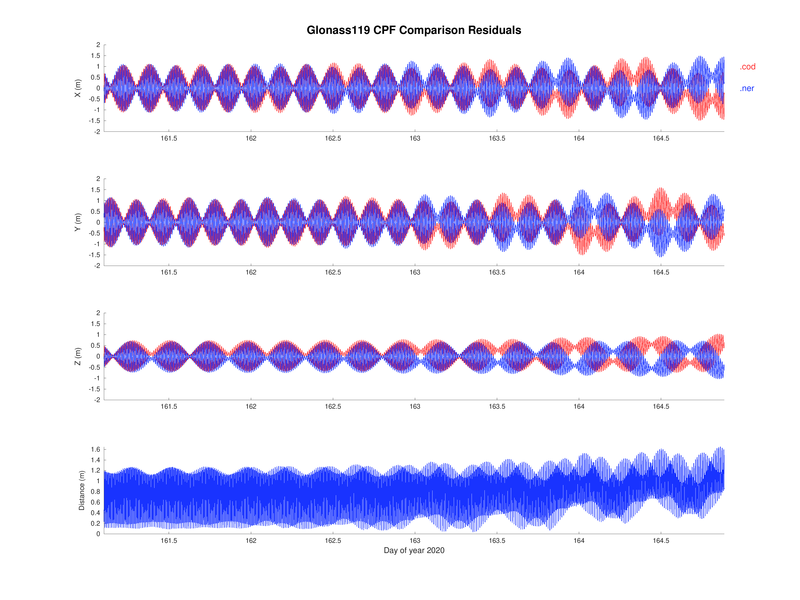 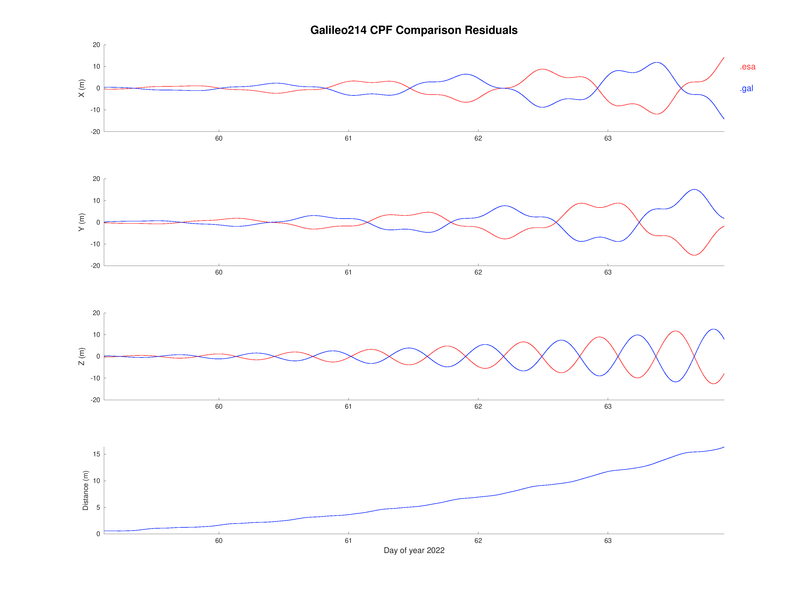 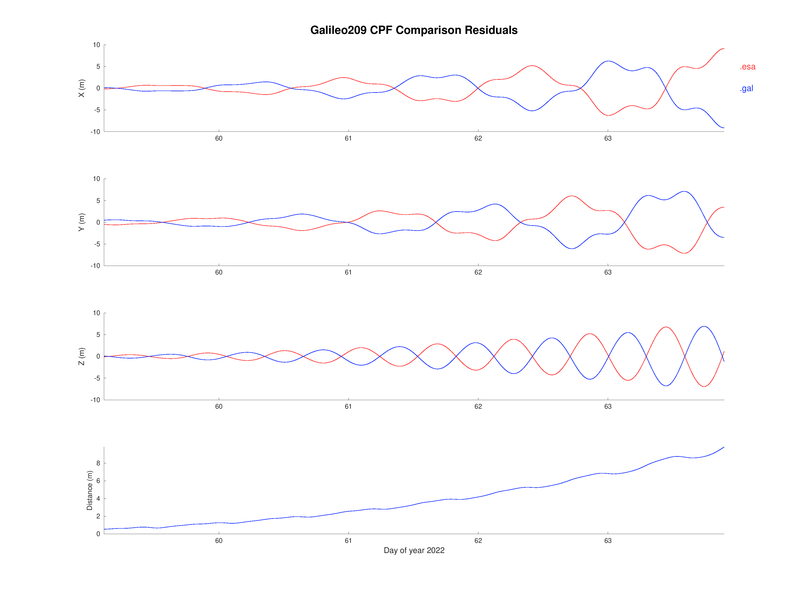 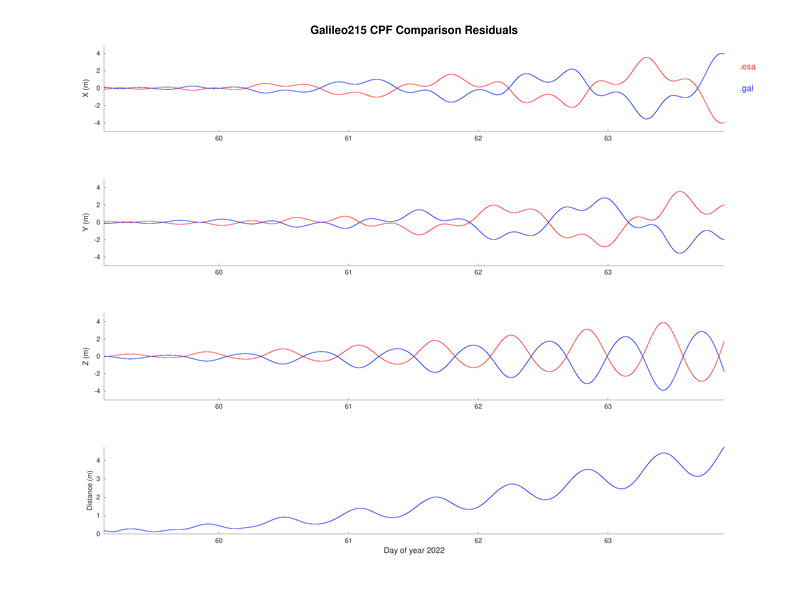 Residuals of the CPF orbit predictions provided by mission operators and analysts to the ILRS. 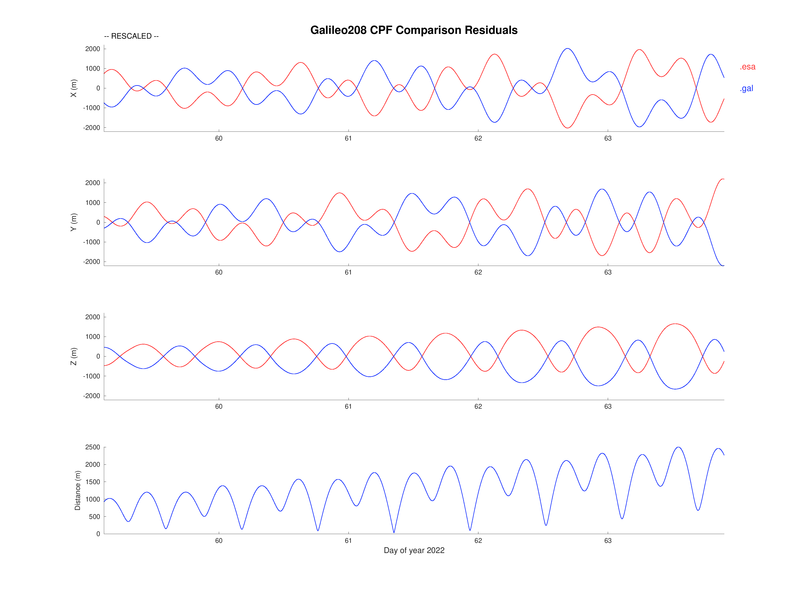 The residual plots below show the geocentric X, Y, and Z and separation distance for all satellites supported by the ILRS. 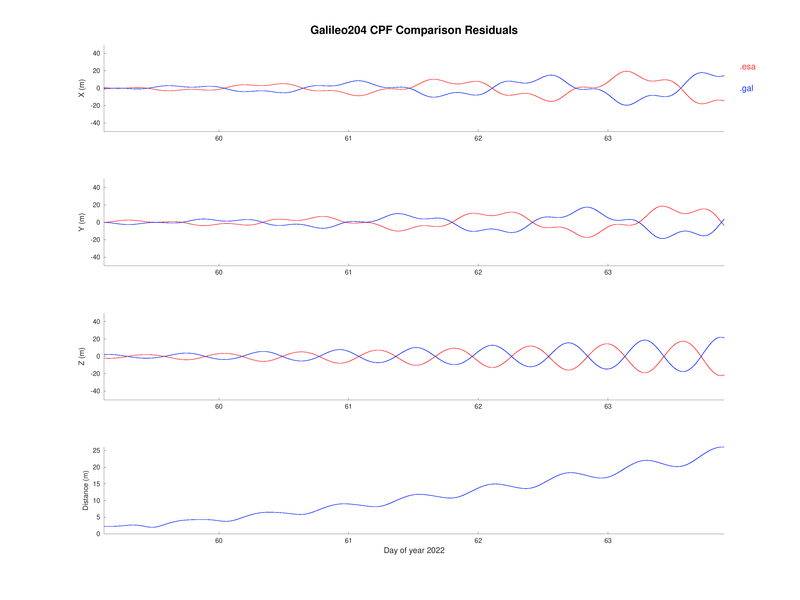 Residuals are plotted against a running mean of the 2 or more predictions available. 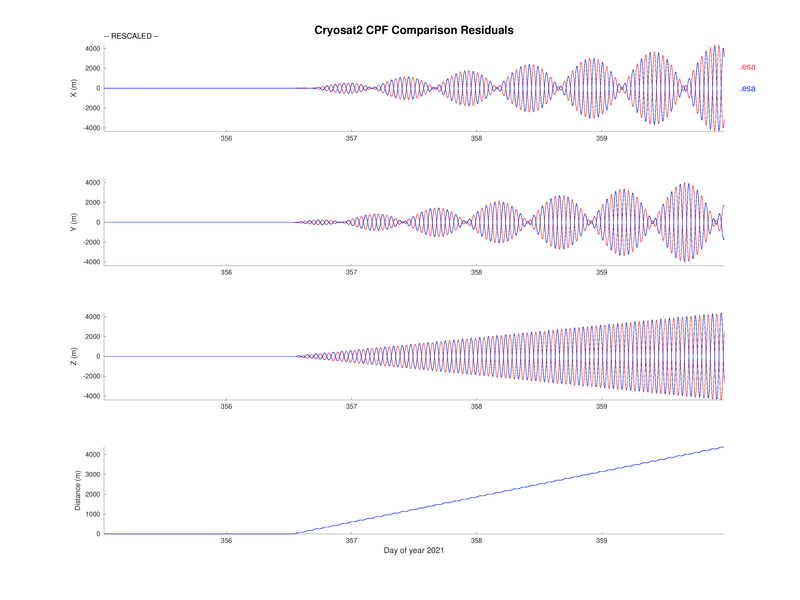 The XYZ y-axis limits are set to 10m, 50m, 200m or automatically scaled depending on their magnitude. 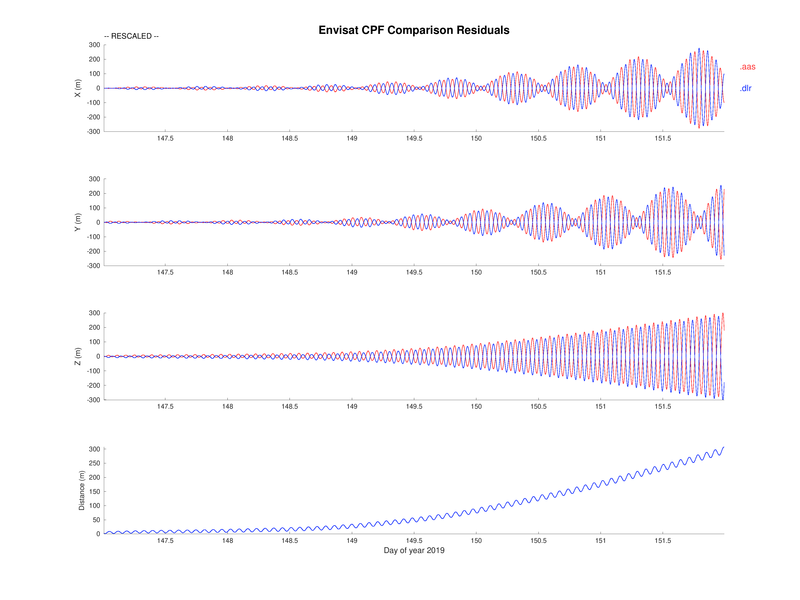 The plots are updated each day.